On Wednesday night, just hours before Alabama officials plan to certify the results of the election he miraculously lost, failed Senate candidate Roy Moore has sued to block the state from certifying Doug Jones as the winner, citing “election fraud.” He would like a voter fraud investigation, Jones’s certification delayed, and an election do-over, please, thanks so much! “It is not going to delay certification and Doug Jones will be certified [Thursday] at 1 p.m. and he will be sworn in by Vice President Pence on the third of January,” Alabama Secretary of State John Merrill told Politico. In the weeks after he lost to Jones by under 21,000 votes, Moore has opted not to concede the election even after Trump urged him to do so. In the complaint, Moore essentially claims that a higher-than-usual African-American turnout amounts to fraud, which is... at least straight to the incredibly racist point! He also provides an affidavit claiming to have “successfully completed a polygraph test confirming the representations of misconduct against him during the campaign are completely false,” so I guess that’s settled. Charnin has a website dedicated to conspiracy theories about the 2016 election, the death of DNC staffer Seth Rich and the JFK assassination, and he claims, among other things, to have proven that “the Warren Commission was a hoax and Oswald was framed.” This year has really just been one very large perpetually-emptying clown car, hasn’t it? The certification leaves Mr. Moore, 70, a former chief justice of the Alabama Supreme Court whose campaign faltered partly because of allegations of sexual misconduct against teenage girls, with almost no avenues to derail Mr. Jones’s ascension to the Senate. The election aftermath followed a familiar pattern for Mr. Moore, who in the past has been eager to declare victories and pronounce grievances — but loathe to concede defeats. To this day, Republicans note, Mr. Moore has not conceded his losses in the 2006 or 2010 Republican primaries for governor, and there is already speculation in Montgomery that he might run for for governor or attorney general next year. 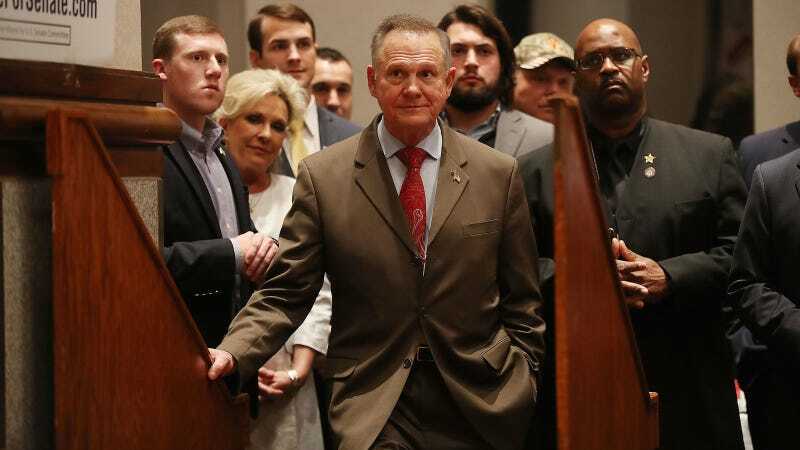 “You win with class, you lose with class, and he just can’t do it,” Angi Horn Stalnaker, a Republican strategist who ran campaigns, with mixed success, against Mr. Moore, said acidly.